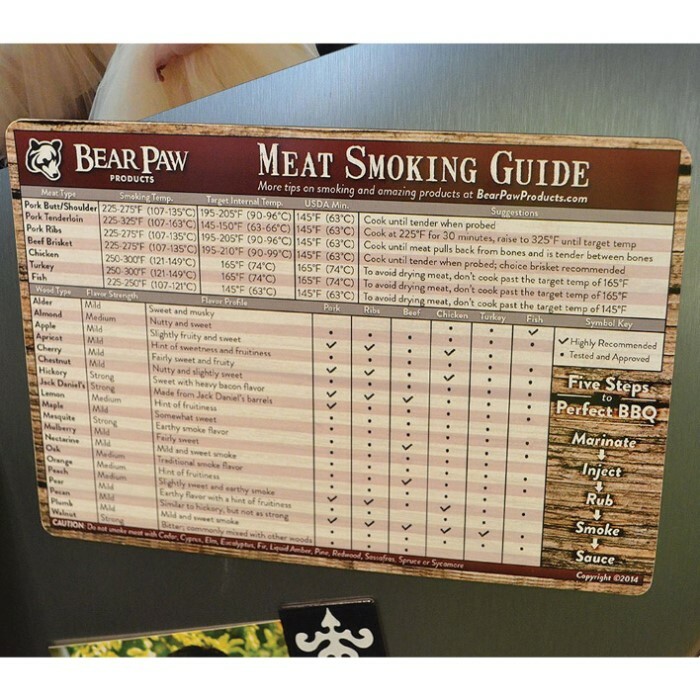 Meat Smoking Guide Magnet | BUDK.com - Knives & Swords At The Lowest Prices! If you plan to barbecue, then you need this magnet! The Meat Smoking Guide Magnet is like having a Pitmaster in your own home. This heavy-duty, waterproof meat smoking guide provides you with all the information you need to get perfect results every time. 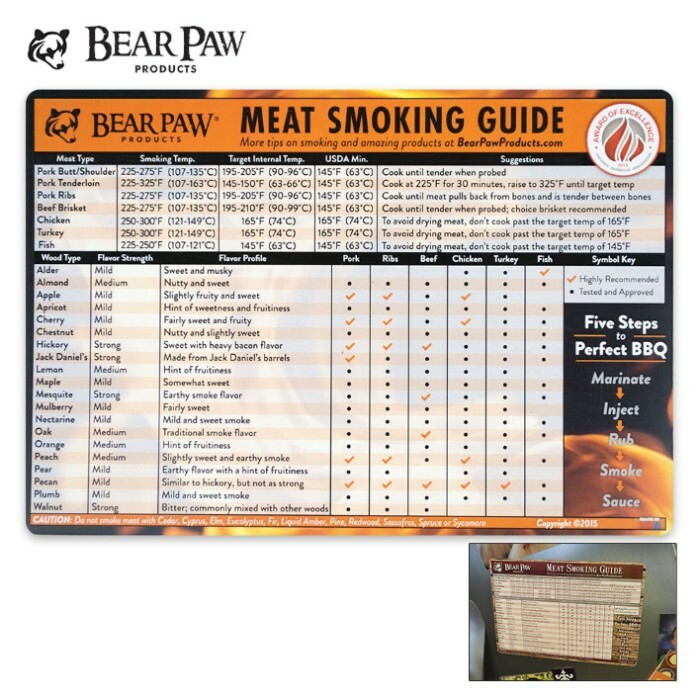 The guide includes smoking temperature, target internal temperature, USDA minimum temperature and cooking suggestions for a variety of meats. It also has a wood smoke flavor index for 20 of the most popular woods for smoking.